BRICK FENCING - Traditional and Secure! Brick Fencing have been a popular style of fence for decades and are still used extensively. 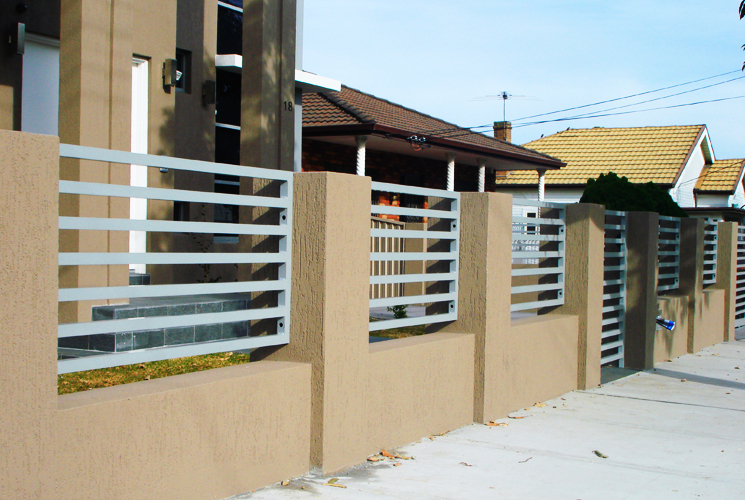 When a strong and secure fence is required to blend in with the design of the house solid brick fencing is often a good choice. Very effectively used to the front of properties to create a private courtyard effect. Brick Fencing is rarely used as perimeter fencing to residential properties due to the cost. Brick Fencing is also be often used in combination with other styles of fencing to create an appealing or grand look for entries or front fences that have timber or metal fencing infill panels and gates. The brick fence may then be either left raw as face brickwork or rendered and painted. If you're looking for Brick Fencing type your suburb in the search bar above to find your local independent fencing businesses.